Saucony Originals is going with a seafood theme for their latest Saucony Grid 8000 Lobster release that’s filled with protein. Lobsters are known for their muscular tails, and live in crevices or burrows on the sea floor. 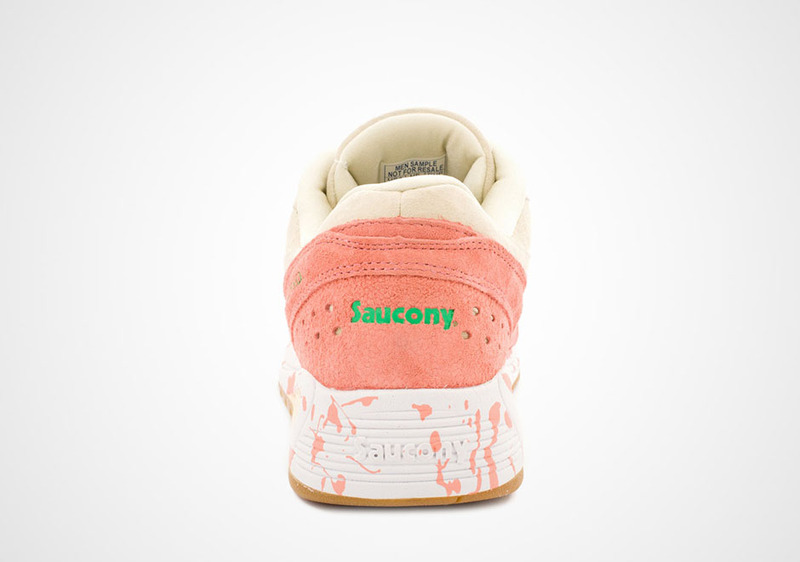 This particular Saucony Grid 8000 features a full buttery Beige and Pink color scheme, with the Pink tones representing the lobster shell done in a unique splatter graphic on the midsole. Other details to this release includes hints of Bright Green on the eyelets and branding, along with a Gum rubber sole. Take a look at the detailed images below and look for this Saucony Originals Grid 8000 “Lobster” to become available soon at select retail stores. Previous articleBape x adidas NMD Collection Set to Release?